The Air Force IG Complaints Program is a leadership tool that indicates where command involvement is needed to correct systematic, programmatic, or procedural weaknesses and to ensure resources are used effectively and efficiently; resolves problems affecting the Air Force mission promptly and objectively; creates an atmosphere of trust in which issues can be objectively and fully resolved without retaliation or fear of reprisal; and assists commanders in instilling confidence in Air Force leadership. The primary charge of the IG is to sustain a credible Air Force IG system by ensuring the existence of responsive complaint investigations, and FWA programs characterized by objectivity, integrity, and impartiality. Only the IG may investigate allegations of reprisal under the Military Whistleblower’s Protection Act. 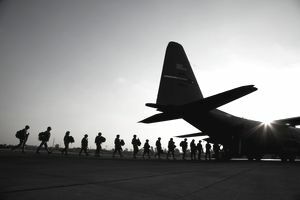 The IG ensures the concerns of Air Force active-duty, Reserve, and Guard members, civilian employees, family members, retirees, and the best interests of the Air Force are addressed through objective factfinding. The concept of separate, full-time installation IGs was implemented to remove any perceived conflict of interest, lack of independence, or apprehension by Air Force personnel. This came as a result of the previous practice of assigning the chain of command and IG roles to the same official. The installation IG is organized as a staff function reporting directly to the installation commander. IGs are the “eyes and ears” of the commander. They keep the commander informed of potential areas of concern as reflected by trends; they function as the factfinder and honest broker in the resolution of complaints; they educate and train commanders and members of the base population on their rights and responsibilities in regard to the Air Force IG system; and they help commanders prevent, detect, and correct FWA and mismanagement. Personal complaints and FWA disclosures help commanders discover and correct problems that affect the productivity and morale of assigned personnel. Resolving the underlying cause of a complaint may prevent more severe symptoms or costly consequences, such as reduced performance, accidents, poor quality work, poor morale, or loss of resources. Even though allegations may not be substantiated, the evidence or investigation findings may reveal systemic morale issues or other problems that impede efficiency and mission effectiveness. Administrative inquiries or investigations governed by other policy directives and instructions are not covered under the IG complaint program. These inquiries and investigations include commander-directed inquiries and investigations, Air Force Office of Special Investigations (AFOSI) or security forces investigations and investigations of civilian employees who have specific appeal rights under law or labor union agreements. Investigations under the authority of the UCMJ or the Manual for Courts-Martial (MCM), line of duty or report of survey investigations, quality assurance in the Air Force Medical Service Boards, Air Force mishap or safety investigations, and medical incident investigations are also not covered under the IG complaint program. Additionally, the IG complaint program may not be used for matters normally addressed through other established grievance or appeal channels unless there is evidence that these channels mishandled the matter or process. If a policy directive or instruction provides a specific means of redress or appeals to a grievance, complainants must exhaust these means before filing an IG complaint. Complainants must provide some relevant evidence that the process was mishandled or handled prejudicially before IG channels will process a complaint of mishandling. Dissatisfaction or disagreement with the outcome or findings of an alternative grievance or appeal process is not a sufficient basis to warrant IG investigation. Air Force military members and civilian employees have a duty to promptly report FWA or gross mismanagement; a violation of law, policy, procedures, or regulations; an injustice; abuse of authority, inappropriate conduct, or misconduct; and a deficiency or like condition, to an appropriate supervisor or commander, to an IG or other appropriate inspector, or through an established grievance channel. Complainants should attempt to resolve the issues at the lowest possible level using command channels before addressing them to a higher level or the IG. The immediate supervisory command chain can often resolve complaints more quickly and effectively than a higher level not familiar with the situation. Use the IG system when referral to the command chain would be futile, or there is fear of reprisal. If you believe you are unable to resolve your complaint in command channels, review the above to determine if the complaint should be filed with the IG. You may file a complaint if you reasonably believe inappropriate conduct has occurred or a violation of law, policy, procedure or regulation has been committed. Complete the personnel data information on AF Form 102 (typed or printed legibly) (the preferred format for submitting complaints), so it may easily be reproduced. Briefly, outline the fact and relevant background information related to the issue or complaint on AF Form 102. List the allegations of wrongdoing BRIEFLY (in general terms) and provide supporting narrative detail and documents later when interviewed. Write the allegations as bullets that answer who committed the violation; what violation was committed; what law, policy, procedure, or regulation was violated; and when the violation occurred. Submit the completed AF Form 102 to any Air Force IG and set up a follow-on meeting to discuss the complaint. If the IG is named in the complaint, contact the next higher level IG. Request the next higher level IG review their case within 90 days of receiving the IG response. Specific reasons must be given as to why the complainant believes the original investigation was not valid or adequate; simply disagreeing with the findings is not sufficient for additional IG review. Complainants must file within 60 days of learning of the alleged wrong. IG complaints not reported within 60 days may seriously impede the gathering of evidence and testimony. The IG may dismiss a complaint if, given the nature of the alleged wrong and the passage of time, there is a reasonable probability that insufficient information can be gathered to make a determination, or no special Air Force interests exist to justify investigating the matter. Complainants must cooperate with investigators by providing factual and relevant information regarding the issues. Complainants must understand that they are submitting official statements; therefore, they remain subject to punitive action for knowingly making false statements and submitting other unlawful communications. The IG makes every effort to protect the identity of complainants from anyone outside IG channels. IGs may release the name of a complainant only on an official need-to-know basis. Investigating officers do not divulge a complainant’s name to a subject or witness or permit the complainant to read the complaint without the IG’s or appointing authority’s written permission.